Estonia is one of the Baltic states that became independent from the ex-Soviet Union at the start of the 1990s. Although quite small, it’s a fascinating country, its capital, Tallinn, has a wonderfully-preserved medieval centre. The old town, in fact, is a UNESCO-listed world heritage site, and a wander round its cobbled streets makes for a very pleasant day as you pass lovely gift shops, old comfy cafés and restaurants serving typically hearty Baltic food. But the country’s history goes back to pre-Christian times and remnants of these people can be seen in old hill forts. 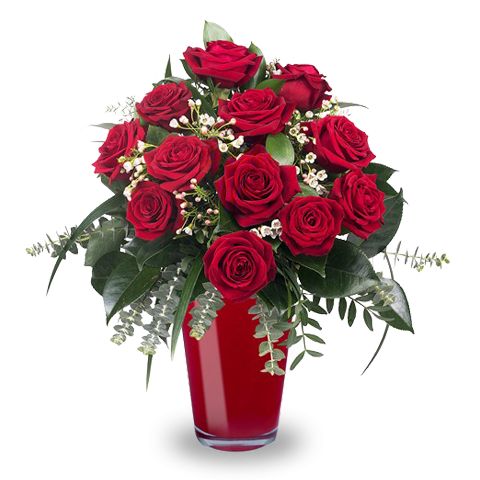 And, of course, FloraQueen delivers to Estonia; for all those special days when you want to celebrate alongside your friends and family and send gifts to Estonia, we have a huge range of great gift ideas. From the freshest flowers to delightful gift baskets, any special day becomes more special when you send gifts to Estonia. Estonia, perched on the shores of the Baltic, has had a complicated history. But as you wander the cobbled streets of Tallinn, peace is very much the order of the day now. Its delightful medieval centre has plenty to offer the visitor, from wonderful churches to great food, as well as shops selling fine woolen clothing; a thick winter sweater or multi-coloured gloves are a must on many people’s lists. And, if you have friends or family living here, then you’ll know just how important it is to keep in touch with them on those special occasions. Have a look at our catalogue for the next time you want to send gift baskets to Estonia, it has hundreds of great gift ideas. And, at Christmas, when the locals are wrapped up in those sweaters, FloraQueen has everything you need to send holiday gifts to Estonia.